There's still time to take advantage of the winter break to catch up or get ahead on credit hours, or improve your GPA. 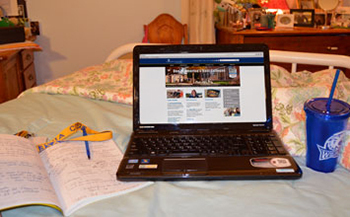 Cazenovia College's office of Extended Learning offers courses online during the Winter Term from December 14, 2015 through January 17, 2016. Tuition is $250 per credit hour (or $750 for a 3-credit class) and courses offered include macroeconomics, psychology, sociology, college algebra, statistics and more. Taught by Cazenovia College professors, our Winter Term offers the full-time learning experience at part-time rates and in a flexible format that works around your schedule. Call 315-655-7288 to register. Visit www.cazenovia.edu/winter/online-courses for more information.